Let’s admit it. We have all tried making an effort to eat healthy and brag about it. Some may have tried the hyped Paleo diet while others tried the Atkins diet. However, somewhere along the way, the supposedly strong will and meticulously planed meals just end up being put aside. Perhaps, people just became worn out from the menu, or the idea that eating healthy is a slow death to the taste buds grew on them. Or maybe they just didn’t have enough time to prepare the food early in the morning. On the other hand, it seems that some people are enjoying their healthy food. Checking out a friend’s meal, you may have noticed beautiful chicken breast, kale, brown rice and a vibrant rainbow of vegetables. How did they manage to stay on track in the midst of the fast pace of the urban lifestyle? Well, ask no more. 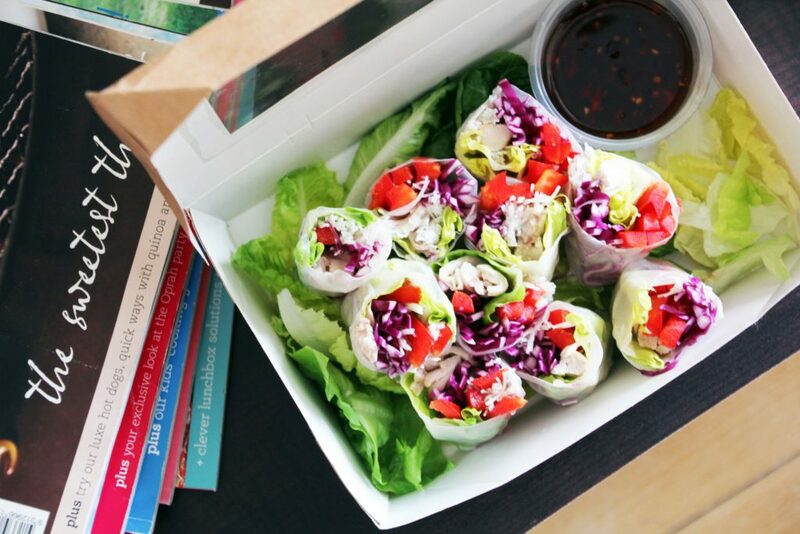 These healthy food deliveries are ready to save your day (and body). You don’t have to rush in the morning for your lunch prep, nor do you have to freeze your meal plan anymore. They prepare, cook and deliver to your door fresh and warm! What more can we ask for? 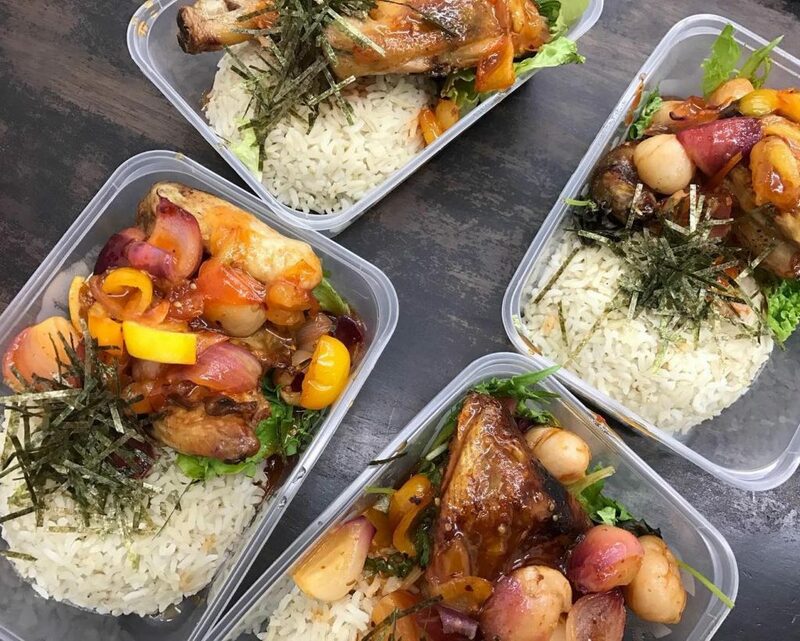 With a salad-focused menu starting from as low as RM15, Chopstick Diner offers free delivery for orders above RM50 made by 10pm the day before. The Chicken Caesar Salad has a bed of fresh, crisp lettuce topped with 24 hours marinated tender grilled chicken and a hard-boiled egg. With a sprinkle of parmesan, crunchy croutons, and their signature homemade creamy Caesar dressing, it’s so good that you can’t help but doubt the extent of its healthiness. Not a big fan of salad? 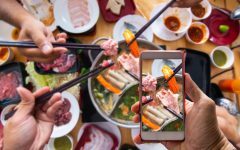 Try their half-half option where you can have a smaller portion of salad and more of a choice of plump Vietnamese Spring Rolls or appealing Pad Thai Zoodles. The Rebellious Chickpea believes that as long as the food is fresh, natural and cooked with love, it will always be delicious and healthy. They source local ingredients daily from the market, and make everything with passion from scratch. If you’re feeling lucky, opt for their surprise me Wednesday to excite your day. Imagine having their delicious Aminah’s Beef Rendang with a serving of cornflakes. Yes, I did not make a typo right there. 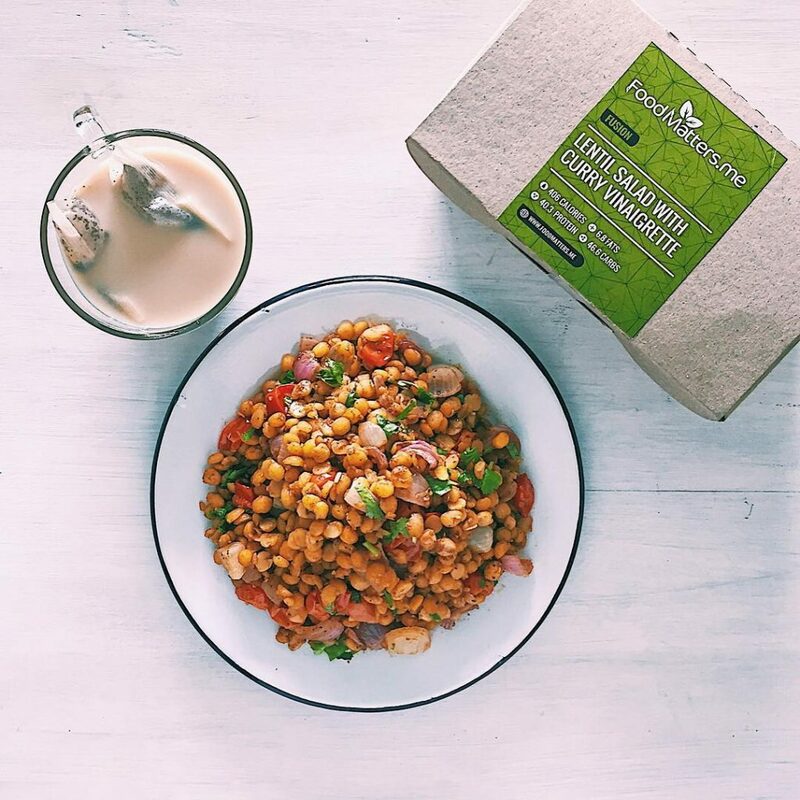 The Rebellious Chickpea is indeed a food rebel but don’t knock it before you try it! Their menu changes weekly, so hurry up and order your lunch now before the menu goes away! In Dah Makan’s top secret food lab, magic happens. 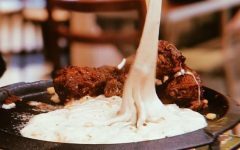 Their top-notch chefs source local ingredients to craft fresh world cuisine recipes that will surprise you. 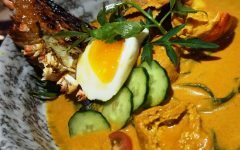 While you order their signature Japanese inspired Miso Glazed Eggplant with Tofu and Soba Noodles, your four other friends can order other options from their beautiful bunch of meal options. The perks? There will be a discount for your squad when you order and eat together, doubling the awesomeness. 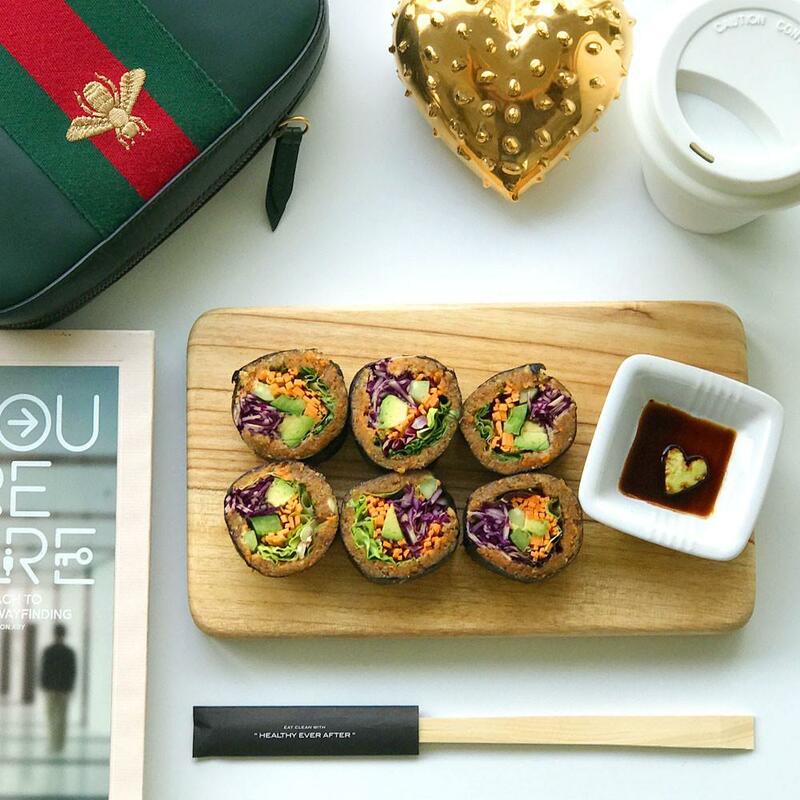 In just three clicks, your meals will be delivered to you right to your door or desk by their delivery heroes. Eating healthy has never been this ridiculously simple! If we’re going to talk about Salad Atelier, a vibrant revolutionary salad will come to mind. The fast-casual salad bar has a growing list of super fresh ingredients which serve made-to-order salads. 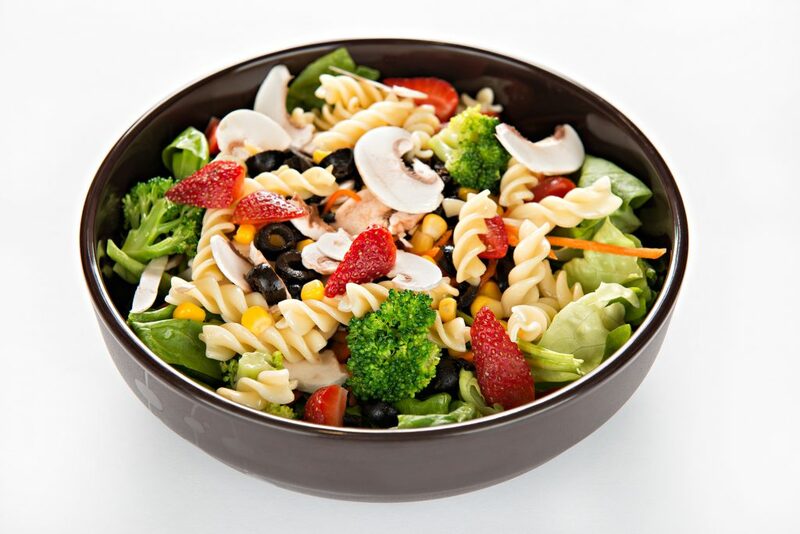 Enjoy their signature salads, seasonal salads, or perhaps make your own masterpiece of a salad bowl for any occasion. They also serve love, beauty and skinny salad in a jar to meet your needs. These salads won’t just sit pretty; I promise they taste as good as they look. If anything, my love for salad has only developed further after I met them. Say goodbye to the notion that salads are just a bowl of green leaves! The Naked Lunchbox genuinely cares about what goes into your meals. They make their meals from scratch, even their salad dressings which most often make a clean meal… dirty again. 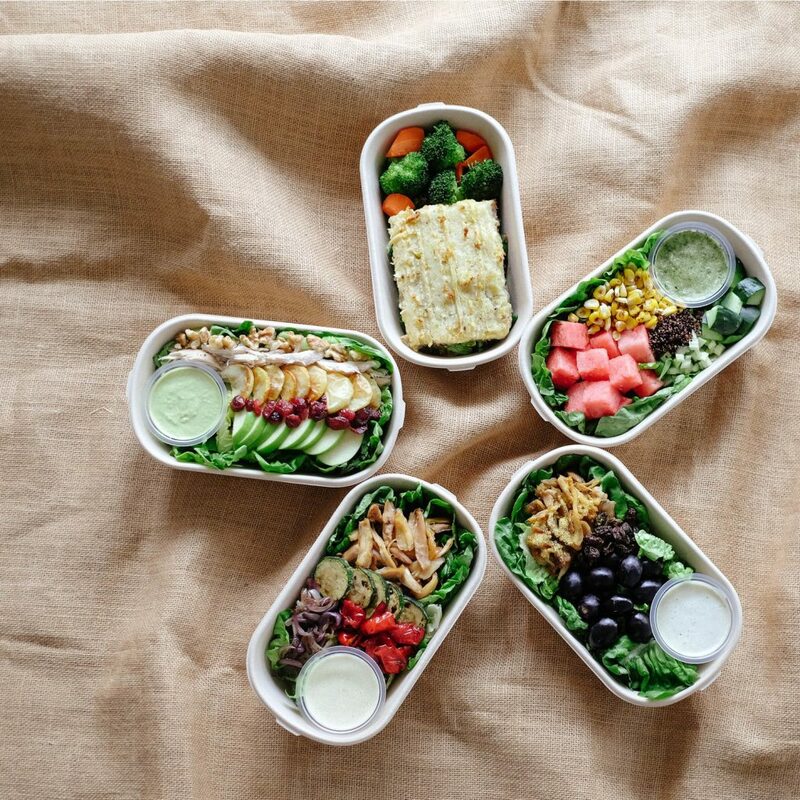 They design their lunchboxes to suit different dietary needs, from vegan, paleo to raw. Imagine roasted almond crusted chicken breast with potato salad in tzatziki dressing and creamy cheese sauce. Staying true to their pledge, each lunchbox has no added preservatives or food additives, added sugar or artificial sweeteners, MSG, dairies, and gluten. Intrigued by the taste? 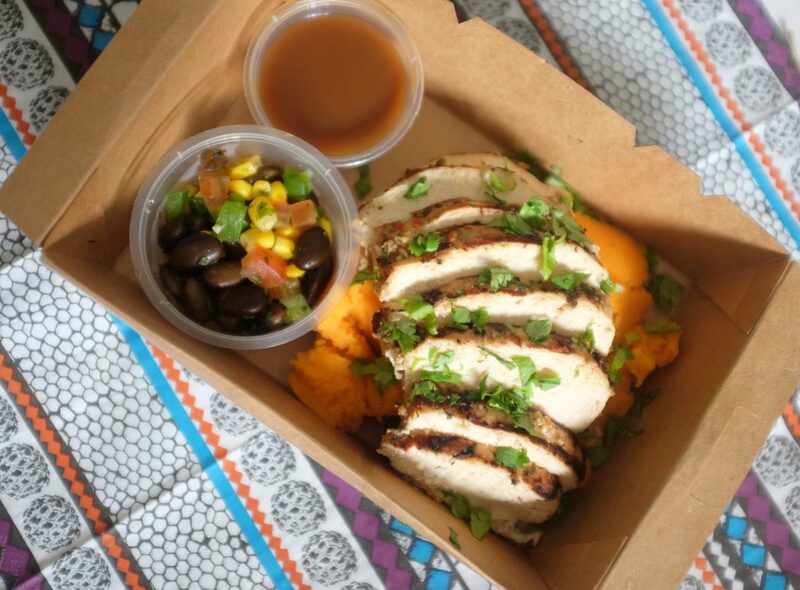 I’ll say nothing but that you have got to order your own lunchbox right this second! How clean can a bite of food be? Well, Clean Bites ensures every meal has a balanced nutrition by reducing the 5 whites which are flour, sugar, salt, rice, and pasta and adding more whole foods. 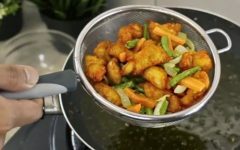 They take a transition approach, wherein they provide Malaysians food palette a development phase to gradually adapt to making healthier food and eating choices. Who knew a Vietnamese inspired rice bowl with tender chicken strips, tangy pickled carrots and daikon fresh cucumber and green chili or strong and robust spiced potato and cauliflower curry with Indian style flatbread and fresh, zesty onion and coriander lemon salsa could be that healthy? You do not have to call 911! Dr. Diner will come to your doorstep right away with their healthy meals to fulfil your hunger. With guidance from a nutritionist, they provide 6 categories of meals to choose according to your needs – Paleo Plate, Athlete Plate, Vegan Plate, Pescatarian Plate and My Portion Plate. You may customise your protein, minerals and fibers, grains and fats. 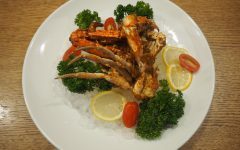 A typical menu would include squid stuffed with garlic, carrots, sweet potatoes and onions drenched in homemade Italian tomato sauce and roasted baked sweet potatoes with parmesan and garlic. 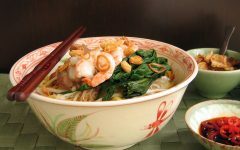 The carbohydrate, brown rice mixed with red chili, green onions and olive oil will is topped with healthy nut selections. Sounds yummy! 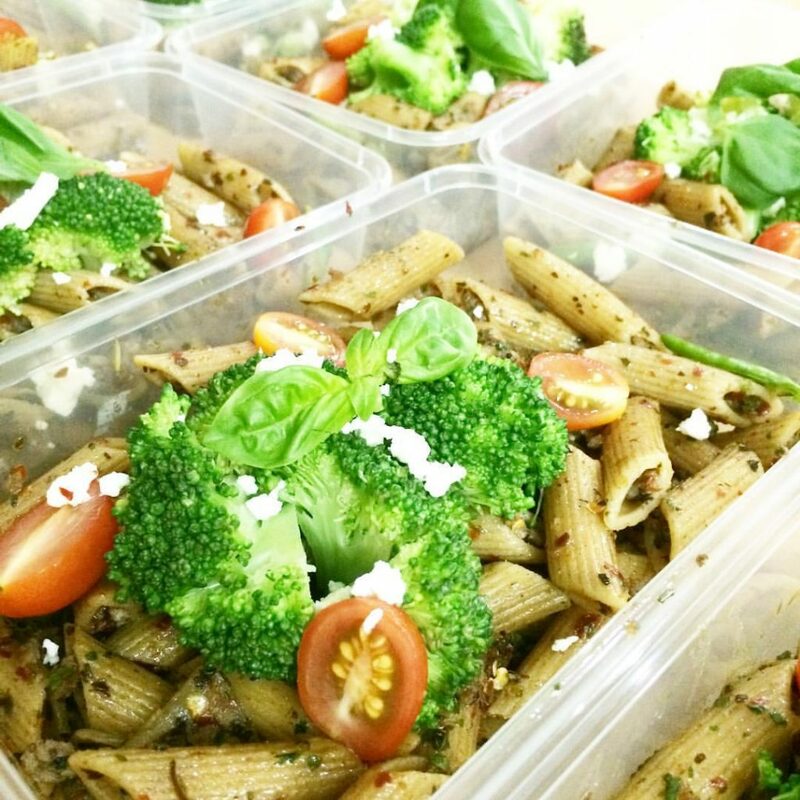 Eat Clean KL is all about healthy eating and portion control. Each and every meal uses only local fresh and organic produce, based on the food philosophy of “eating a rainbow.” But we’re not talking about skittles here – it’s all about different colored vegetables, from eggplants to carrot which brings different nutrients to the plate. The menu is extensive, from customized meals for postpartum mothers to chemotherapy patients. Every meal is customized according to your dietary requirements, ensuring a happy body and stomach! Contact them to consult and book a spot for your meal plan cause the highly demanded slots are limited! Alexandra Prabaharan, an American Fitness Professionals and Associates certified nutritionist, has a very clear and straightforward mission. 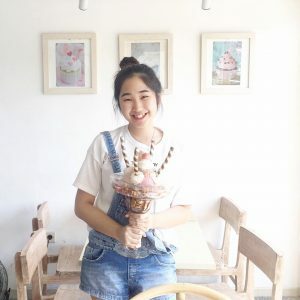 She aims to banish the negativity surrounding the concept of healthy eating and to make it accessible, affordable and absolutely delicious… which she does! Food Matters offers 6 menu options daily out of a range of 100 varieties to be delivered right to your doorstep. 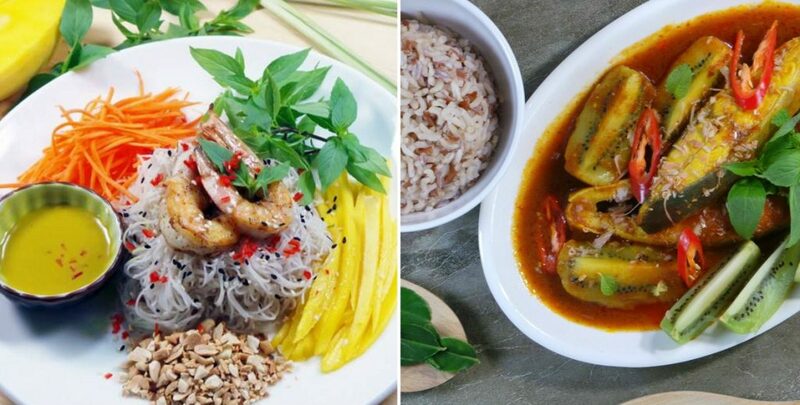 Every dish is infused with local taste and nutritious in every aspect, such as their Asian inspired pesto pasta which is complemented with their sautéed mushroom and tender chicken. Here, you and your food matter. Getting healthy, looking fabulous and losing weight has never been easier and tastier. In Healthy Ever After private kitchen, non-processed, natural and fresh superfoods are used to prepare your meal. They brew organic, yummylicious kefir and kombucha in small batches to ensure you get the most out of the friendly bacteria in our gut. They also offer a one-day soup cleanse with six different soups in a jar. Healthy is not a fairytale here. At the end of the day, your body will clean itself from the toxins, heal, rejuvenate and live healthily ever after. See, the journey to a healthy life isn’t as difficult as you thought it would be! I’m pretty sure you can’t wait to contact and order a meal plan from them. We won’t let you wait that long so go ahead! We wish you all the best on your healthy food journey and do share with us your stories, results or experiences. We’ll be more than happy to read them and who knows, you might inspire others to do just the same. Hello there, pleasure to meat you.. oops, I mean meet. Hunger tends to get the best of me, which happens almost 24/7. You can probably find me at a gelateria, holding triple scoops of gelato in a cone. Please donut talk about my diet because I always end up with a slice of cake at the end of the day.